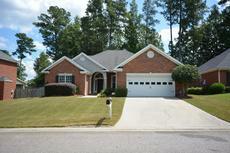 Brick Ranch with 4BR 2BA and a BONUS/5BR up. Nice lanscaped lot with fenced backyard and front and back sprinklers. Covered back patio.